Little Wonders Tee Design Review. 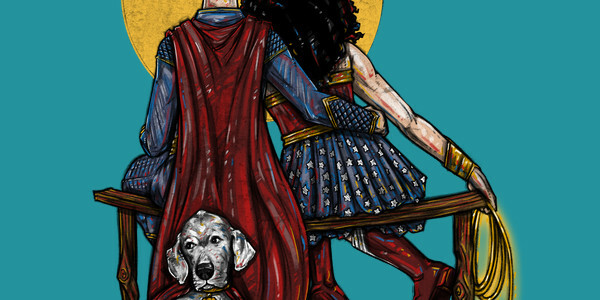 The Little Wonders tee design is a great parody and mash up tee for fans of Superman, Wonder Woman and the classic Americana paintings of Norman Rockwell. 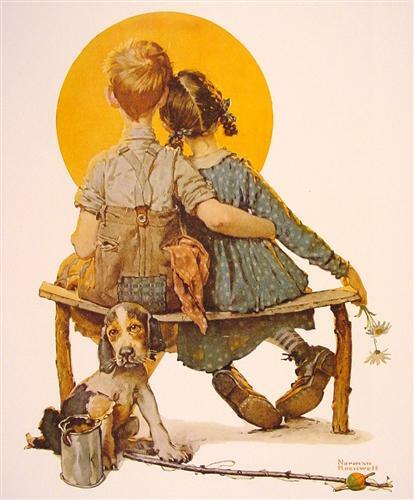 The concept is one of many Pop Culture renditions (by the same designer) of the nostalgic painting Boy and Girl Gazing At The Moon by Norman Rockwell (1926). It features Superman and Wonder Woman as a power couple "in-love" with Superman's dog Krypto behind them at the corner of the wooden bench. Even though Superman and Wonder Woman as far as them being a "couple" in any story line is complicated, the two look like they belong together from the very beginning. Fans know that the superheroes have thought about it plenty over the years and in a few cases acted on their feelings (pick a DC universe / timeline). This, like all of the other versions in this "Little Spooners" series, the time and thought that went into this design cannot be appreciated enough. As for the artwork, it looks like the Rockwell Style but with bolder and primary colors. The colors, shading and layout are all ideal, the RED mixed in the hair for example doesn't seem like it would work but it really does quite well. The capes and the Lasso of Truth really stand out well. Flawless execution. This Little Wonders tee will make a nice gift for the fans of DC Comic titles featuring Superman and Wonder Woman. 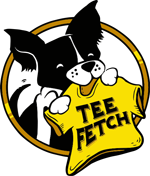 It is different than other Clark Kent and Princess Diana of Themyscira inspired tees out there. This is a great Superman and Wonder Woman T-shirt that is perfect for comic-cons and even wearing to art museums. Little Wonders Tee Design by OneBluebird Art.